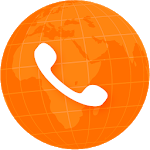 Enjoy international calls at the best prices to cell phones ? 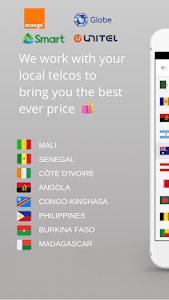 and landlines ☎ in over 140 countries around the ? 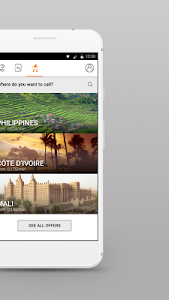 : Africa, Europe, Asia, Middle East and many other destinations! ???? Unlike other call applications, only the person who places the call needs to install Libon. Whoever receives the call will only have to pick up the phone! WHAT ARE THE ADVANTAGES OF BUYING LIBON MINUTES? With Libon, you're buying minutes, and not credit. The strength of minutes over credits is to know exactly how long you will stay in touch with your loved ones ????
? No additional costs: no connection fees and no hidden costs. Libon is guaranteed scam-free!
? Libon is 100% online: once your account is created, a SIM card is not needed to enjoy your minutes. 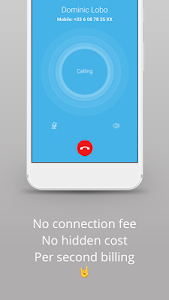 You no longer need a second phone for your Int'l calls: only one phone to rule them all ?! WHAT IS OUR SECRET TO PROVIDING YOU EXCELLENT PRICES WITH ?HIGH QUALITY? CALLS? • Orange CÔTE D'IVOIRE ?? • Orange BURKINA FASO ?? You can view our catalog directly in the app. 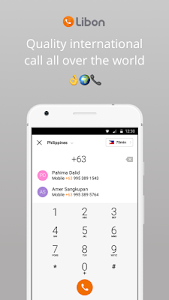 With a few clicks, you can easily check if your friends' numbers are compatible with our "carrier" packs. 4. Choose the offer that suits you! 5. Call your loved ones ? Our support team will answer your questions by email [email protected] or by Facebook Messenger. We made for you a new call log. I hope you'll enjoy it! Similar to "Libon - International calls ??"